Bonito Island offers a nice sloping sandy reef full of colorful reef fish and critters. Bonito Island is in front of the Bonito resort and it has a long sandy sloping bottom with a mix of scattered big and small rocks with crushed corals, such as big basket corals and soft sponges. 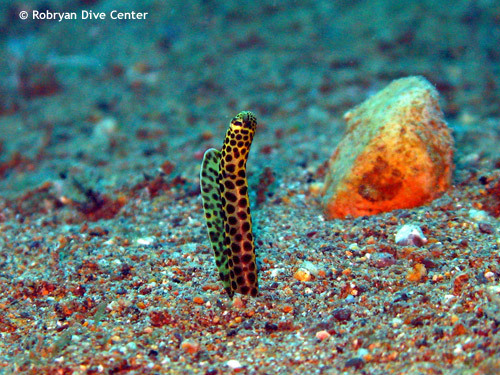 The dive site is ideal for underwater photography and for beginner divers and offers a wide range of clown fish, dart fish and other common reef fishes.